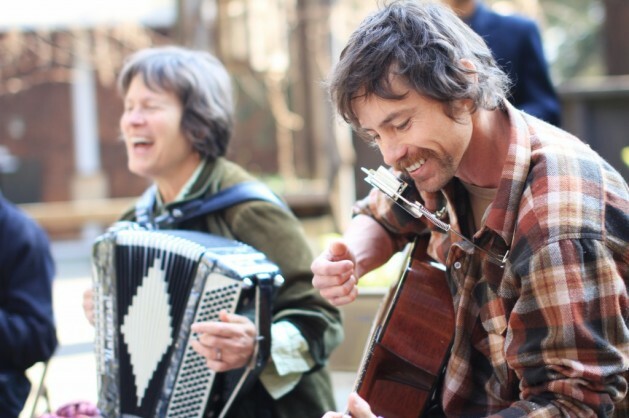 Folk musicians are invited to bring their acoustic instruments and play together informally during this acoustic jam session. Pull out your fiddles, guitars, mandolins, penny whistles, pipes, flutes, squeezeboxes (you name it) and join your fellow musicians for a little bluegrass, old-time, blues, Celtic, klezmer, and world music over the lunch hour. All skill levels welcome, and listeners are invited. Parking is available for $9 in Visitor Lot 5, at Old Davis Road and Arboretum Drive.